Will Eyelash Extensions Look Good on You? The eyes are known as the windows of one’s soul. And the more they are enhanced when one has nice and thick lashes. This is the reason why women want to curl their eyelashes and put mascara in an effort to make their eyes look more attractive. Whether it’s to boost their self-confidence or be attractive to men, they’re doing the right thing. Unfortunately, not many women are gifted with long and curly lashes. The good news is that one can use fake eyelashes today. They can either use the ready-made ones that they can just stick above their original lashes or they can use the latest eyelash extensions. The extensions are more expensive and requires a steady hand to be able to glue them in the right areas. Instead of cluster lashes, this involves gluing a single eyelash in between your existing lashes. Experts recommend that these be attached by a professional salon hair and makeup stylist. 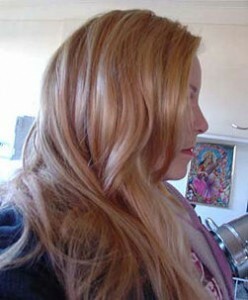 Hair extensions have improved in recent years and have become an increasingly common way to change-up hairstyles. In the past, if you wanted quality extensions, you had to visit a salon. But today, extensions are so easy to use, that you can create your own look at home. Who’s the Most Fashionable of the U.S. First Ladies? Being a first lady is not an easy task. As the wife of a president, you need to have the right socializing skills to be able to mingle with all kinds of people from the lowest rank to those holding the highest positions in society and government. Perhaps the most important part of being a first lady is knowing how to dress well. 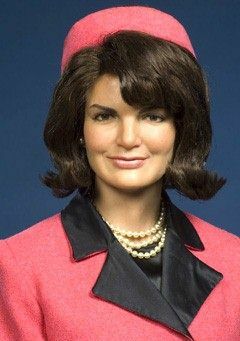 This is a must and here, we look at some popular wives of U.S. Presidents who have stood out from the rest. Most of them followed their own fashion sense while some consulted with fashion experts to make them look good all the time whether inside or outside the White House. those who set the trend. Stylist Lauren Rottman said fashion is a tool that first ladies need to embrace as it helps them to connect with people. and even influenced the Republicans to adopt it and Michelle Obama who enjoys fashion more than others. In this article we will take a look at some tips that can help you style your hair more effectively to help you find a great look for summer. While most people know basic hair styling tips, these secrets can help you find hair styles that may have been out of your reach without going to an expensive salon.